When you think of romantic cities Venice is definitely one on the top of the list. Therefore in this edition of the Wanderlist explore the beautiful “Bride of the Sea” and it’s various attractions! 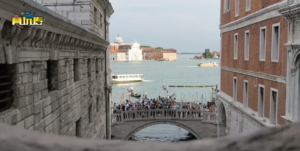 Venice’s main water thoroughfare lined with beautiful Renaissance buildings, it is truly a spectacle to behold. 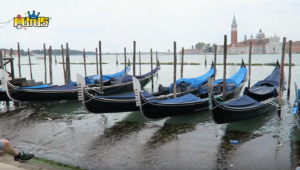 One of the most popular things to do at the Canal Grande is take a classic Gondola ride. It will be a memorable experience as you take in the history and culture of the area. It feels like being transported back in history. Even though it is expensive, it cannot be missed! Considered a masterpiece of Gothic architecture. Due to the fact it’s building and structural design had contributions from many famous artists like Titian, Veronese, Tintoretto, A.Vittoria and Tiepolo. 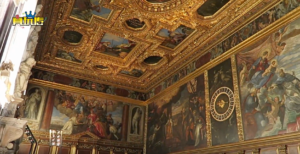 By purchasing the combined entrance ticket to the St. Mark’s Square Museums it grants access to the Doge’s Palace, and other attractions like Museo Correr, Museo Archeologico Nazionale and Monumental Rooms of Biblioteca Marciana. Need a lunch break that doesn’t break the bank? San Trovaso Ristorante is a great choice. 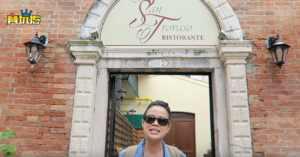 Affordable Italian dishes is not easy to find in a popular tourist spot like Venice, San Trovaso provides just that with quality Italian dishes! Above all it provides a nice ambience. Because it is tucked away on a side street away from the large crowds of tourists. View from The Bridge of Sighs! This historic bridge connected the Doge’s Palace with its prisons, infamously known for where prisoners meet their executioner. Therefore the bridge also has another name, “The Bridge of Sighs”. As the small openings of the bridge is usually the last times the prisoners get to see their beloved city. A tragic story for this historically rich bridge. 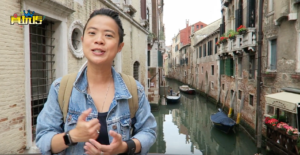 Be sure to visit these attractions the next time you visit Venice! Next articleWhisky Distillery in Nantou!